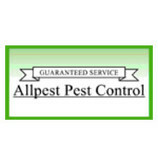 Allpest Pest Control has provided a range of professional pest control services on the peninsula and victoria for over 15 years. Owned and operated by Neil Thatcher, a Sidney Local, guaranteed solutions are provided for ants, wasps, rats, mice, bedbugs, silverfish fleas, plus many more. 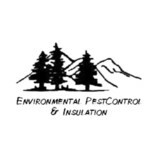 Environmental Pest Control And Insulation is a family owned and operated company serving Whatcom and Skagit Counties with our insulation services extending into Snohomish County. We specialize in professional pest control services and insulation installation for residential and commercial properties. We know that you are looking for service that is accurate, efficient, and friendly and we are pleased to provide exactly that. Exceptional Pest Control Services We have a strong track record of success providing exceptional commercial and residential pest control services. We offer a comprehensive range of pest control services including flea control, spider control, hornet, wasp and yellow jacket control, pavement ant control, odorous house ant control, carpenter ant control, wood boring beetle control and rodent control (rats & mice). Our customers rely on us for a job well done, and we always strive to exceed their expectations. Quality Insulation Installation Insulating your home not only keeps you warmer during the winter and cooler in the summer, but it also decreases your energy bill. Our experienced technicians know how to use the most updated methods and techniques to ensure your home is warm and comfortable. We are Certified Energy Experts through Owens Corning, and we install their products according to the highest standards. We are also a trade ally with Cascade Natural Gas who offers rebates on qualifying insulation work. When you choose our local pest control and insulation company, you are assured of getting the best services from experienced insulation installers. 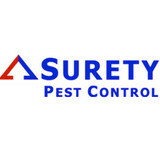 At Surety Pest Control, customer satisfaction is our number one goal. Since buying the company in 1994, we have made it our mission to provide honest, friendly, and top-quality service to all of our customers at a fair value. We practice the highest standards in pest management and have developed a quality assurance program to ensure our customers receive the best possible service. If you're having a problem with insects and rodents, or are interested in our pest related services, then please give us a call - we'd love to help! Surety Pest Control 809 W Orchard Dr Suite 1 Bellingham, WA 98225, United States 360-734-2670 <a rel="nofollow" target="_blank" href="http://www.suretypest.com/">http://www.suretypest.com/</a> Tristin@suretypest.com Serving Island, Skagit, and Whatcom counties in Washington state, Surety Pest Control is a dedicated, eco friendly pest control and management company that’s been defending homes and businesses from unwanted invaders since 1994. Over that time, this family-owned and operated business has fostered a reputation for consummate professionalism and unparalleled expertise. The team here knows that their customers want timely, effective results that are fairly priced, and that’s exactly what they provide. Employing a reliable problem-solving approach that combines knowledge gained from years of experience as well as an awareness of the latest methods and technology, this local business consistently sets the standard for pest management throughout the area. Turn toSurety Pest Controlfor a variety of services, including: Rodent Exclusion Wasp Removal Treatments For Fleas Carpenter Ants Extermination Gutter Cleaning Insulation Removal Crawlspace Clean Out Cockroach Management Whether you require pest inspection prior to selling or purchasing real estate, have mice or rats that are wreaking havoc in your home, or are faced with the destructive scourge that is a carpenter ant infestation, Surety Pest Control’s pros are ready to take on the job. What’s more, the experts here think long-term; they’ll help you figure out ways to prevent re-infestations, or, if needed, hash out regular maintenance plans. As a companythat’s truly dedicated to the local community and a recipient ofthe highest rating availableon Angie’s List, the Super Service Award, you can be assured timely results and complete satisfaction when you work with Surety Pest Control. You can find out more about the companyby checking out their website.To schedule a completely free consultation and inspection, give Surety Pest Control a call at (360) 675-3235 today!